Ripped Lean is a thermogenic powerhouse in the weight loss market. 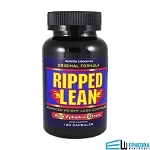 Ripped Lean is comprised of natural, fat burning ingredients that combined are designed to boost your metabolism, suppress your appetite, and give you energy for miles. 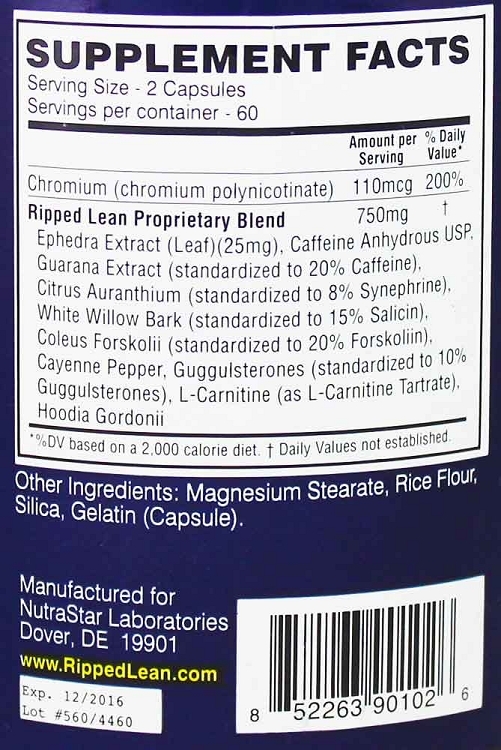 Ripped lean contains 25 mg of ephedra, caffeine, guarana, synephrine, white willow bark, and cayenne to name a few. If you want to reach your full fitness potential then try Ripped Lean, we promise you won't be disappointed. 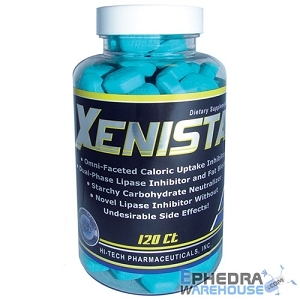 Please write a Ripped Lean review and let us know how well you like this product.